The material of curtain spring rod is Iron, steel wire with PVC coating.The length is 100 feet or 30 feet per box,the box can be round or square. The curtain spring rod is usually used together with 3# screw eye and 3# screw hook. 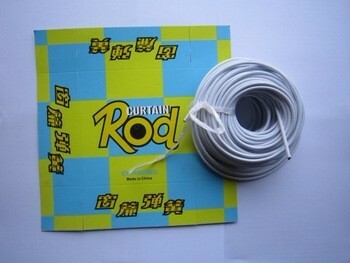 We offer curtain spring rod with very good quality and very competitive price. OEM or ODM is welcome.